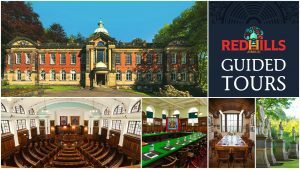 Join Ricky Tomlinson for a fundraising event in The Pitman’s Parliament. 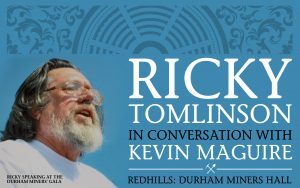 Ricky will be in conversation with Kevin Maguire, associate editor of The Daily Mirror at Redhills: Durham Miners Hall on Saturday, March 2. He will discuss his life, activism, and career and take questions from the audience. 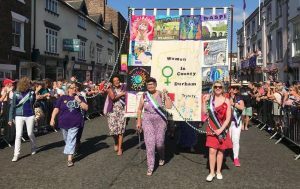 Proceeds from the event will go to The Redhills Appeal, the Durham Miners Association (DMA) campaign to renew its historic home as a centre for education, heritage and culture. The thanks of the DMA go to Ricky and to Kevin for giving their time to the cause. Pre-Christmas early bird tickets are on sale now for £10, then priced £12.50 in the New Year.